Most businesses purchase or rent trade show displays in the city they’re going to be exhibiting in- Las Vegas, Los Angeles, San Diego, Anaheim, Long Beach, Pasadena, San Francisco, or other convention cities nationwide. They then either return the rental hardware to the company they rented from or store it in the corner in a closet after the show. 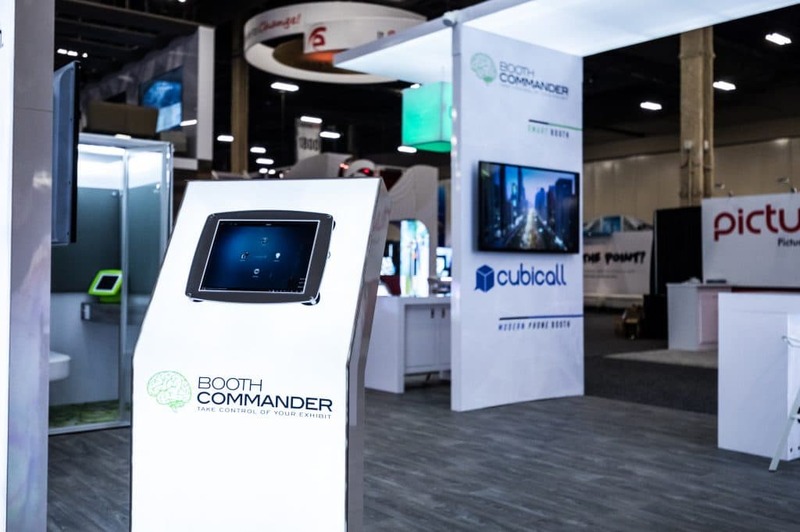 Do you know many components of your modern day trade show displays can be used for small events around the office or in your company’s lobby? 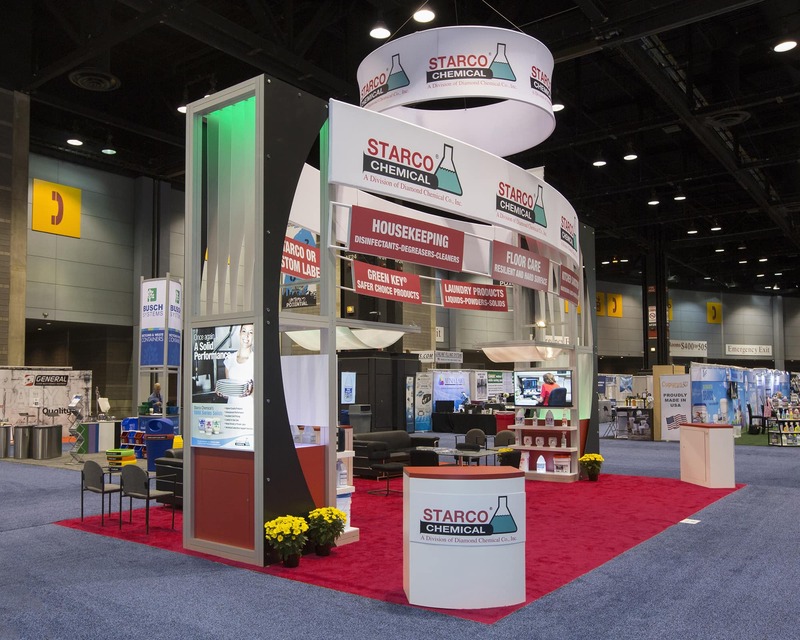 For example, if tension fabric displays are used instead of another modular exhibit system, the lightweight aluminum frame makes it easy to move from one place to another. In stretch fabric displays, certain configurations are constructed by connecting multiple panels. These panels can be separated and set up in various locations. PANELS AS CUBICLE SEPARATORS – Trade show display panels can be refurbished as cubicle separators on the office floor. With heights ranging from 6’ to 8’, they act as great visual barrier between two workspaces. The versatile office partitions create a flexible and modern workspace. These modular partitioning systems give an all-new look to your office and make it look great. FABRIC DISPLAY AS EVENT SIGNAGE – Backlit or standard tension fabric displays can be used at the entrance of your office to attract the attention of new clients and employees..They can also be used at special events such as employee appreciation days, annual parties, etc. LOBBY DISPLAYS – Your Lobby is the only space in the office to display and convey your message to visitors, customers and vendors. You can also use some sections of your trade show exhibit for product shelving or promotion in your lobby area. AS MARKETING MATERIAL – You can reuse the trade show display materials for marketing outside your building, outside the different departments. You can also use them in other trade shows or outside fairs to let people know about your business or institute. AS OFFICE DECORATION – The brightly colored printed graphics can also be used on the walls in the office to give the floor a different and unique appearance. This motivates employees and attracts new team members as well. If used in meeting areas, they create a great impression on clients. 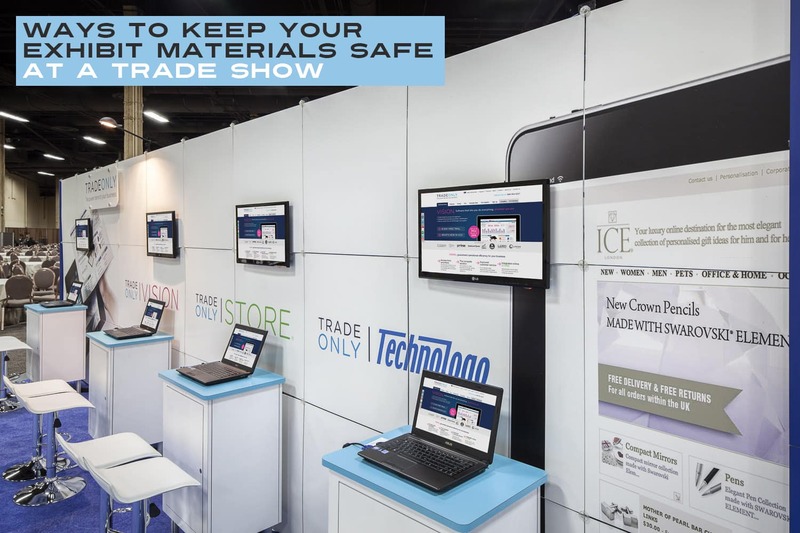 Think outside the trade show and reuse your investment in trade show displays 365 days of the year to give an all new look to the office or for marketing purposes. 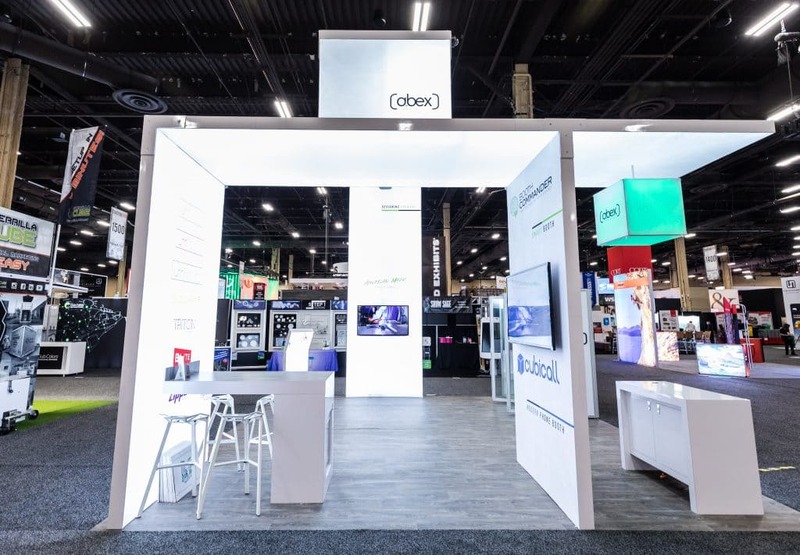 For designing or customizing your exihibit for an upcoming trade show in Las Vegas, Los Angeles and other West Coast cities, or for more tips on how to make the best use of trade show displays, contact Abex Exhibits. Trade shows form part of many businesses and industries. Whether its large or small or niche, trade shows are the perfect way to promote your products and services among the targeted audience and meet and share knowledge with the competitors. It is also the time to display your latest work, improvements and overall company progress. THEY ARE AFFORDABLE – Budget is a common constraint for small and medium-sized businesses. Portable displays help your company save a lot of money on installation and dismantle costs. Further, you will not have to face any hassles while transporting them. You can utilize this saved money in your budget for some other important functions. THEY ARE VERSATILE – Don’t let the small size of portable displays fool you. These durable, flexible and cost effective portable displays cannot only convey your brand image but can also communicate your brand message with stellar graphic design effectively. They can be used at job fairs and executive seminars, conferences, corporate meetings and product launches. 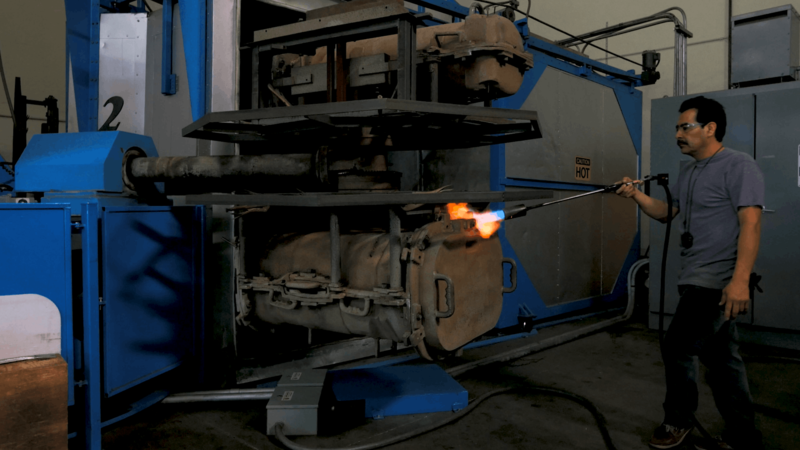 THEY ARE REASONABLE – They are less expensive than custom exhibits. 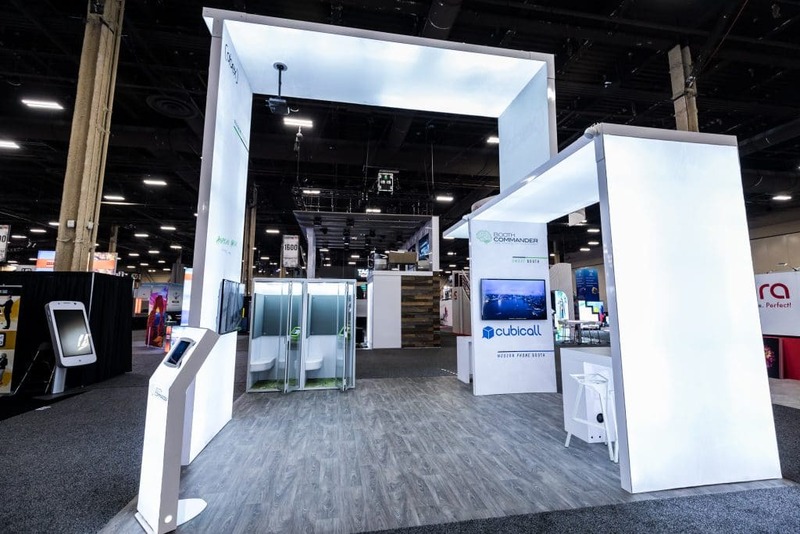 While a large custom trade show exhibit can cost anywhere from $25,000 to $50,000 depending on the basis of design and configuration, a portable trade show display will not burn a hole in your pocket. This shows that they are really cost-effective. EASILY TRANSPORTABLE – The transportation costs are dependent on various factors. Amongst all, one of the most influential factors is the size of your exhibit. No matter if it’s a freight company or a courier service, the cost of transporting large structures is always high. Portable displays can be shipped at a comparatively low cost. You can eliminate the transportation cost by carrying it in your own vehicle. 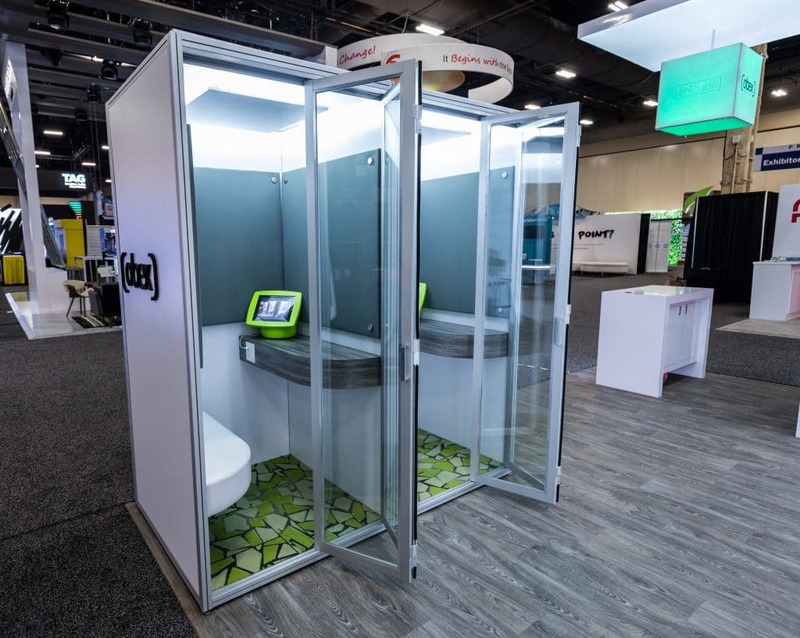 IDEAL FOR SMALL BOOTH – If you know that there will be less number of employees on the booth – a large exhibit might look like a bit odd, so go for a small booth. Also, if space is large, it will become difficult for the employees to attend to all visitors. Portable displays can help end such issues. Their compact size is perfect for small booths. 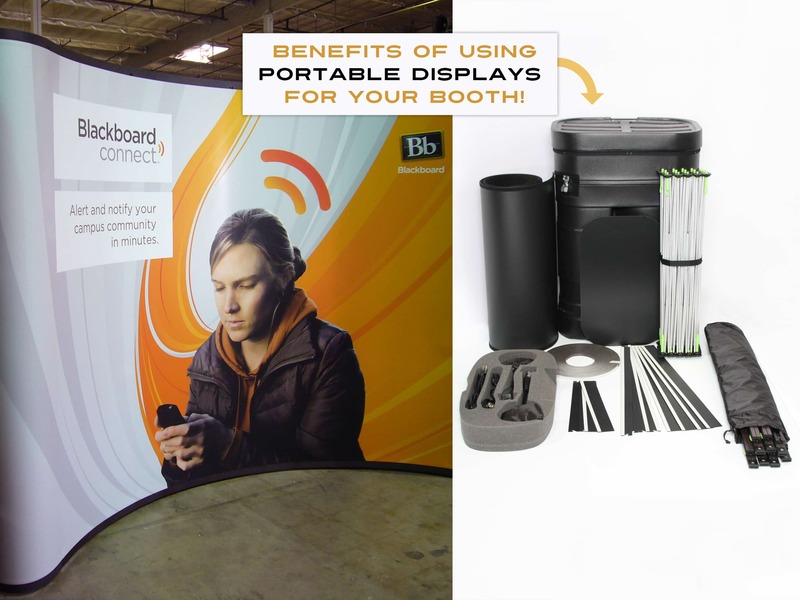 Portable trade show displays are also typically a lot lighter than custom exhibits. They also offer you the flexibility to adapt your display from one show to another quickly and easily. 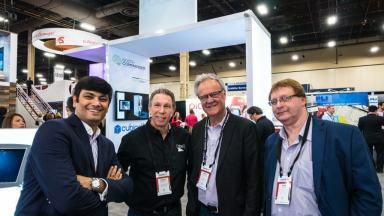 Their installation saves a lot of time, thereby allowing you to focus on other important tasks that need to be completed prior to when the show begins. 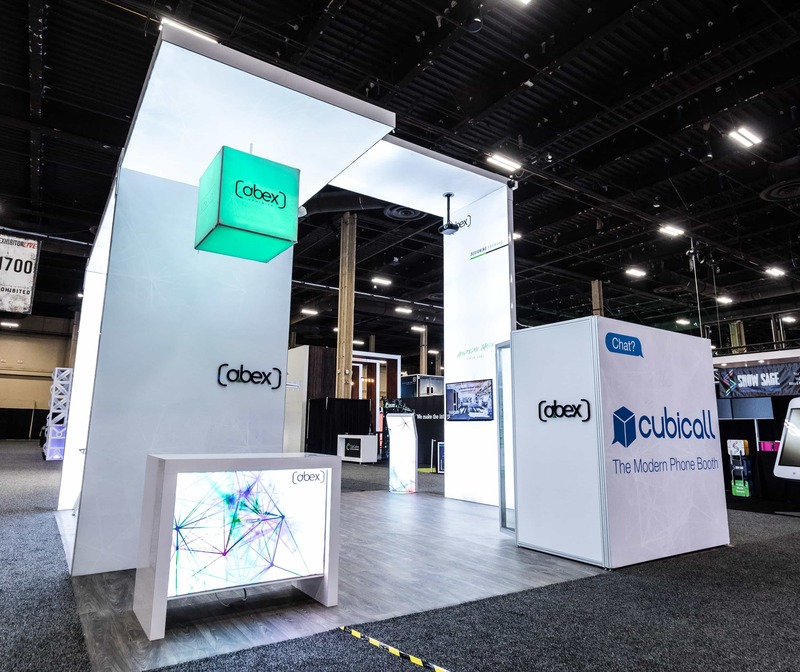 At Abex Exhibits, we don’t just specialize in custom exhibits but we’re also leaders in providing portable trade show displays for just about any industry. When participating in a trade show there are many components of it that require detailed attention. It is really important that the display look up to date and modern. There are some items that are used in the display that can make it look outdated very quickly. 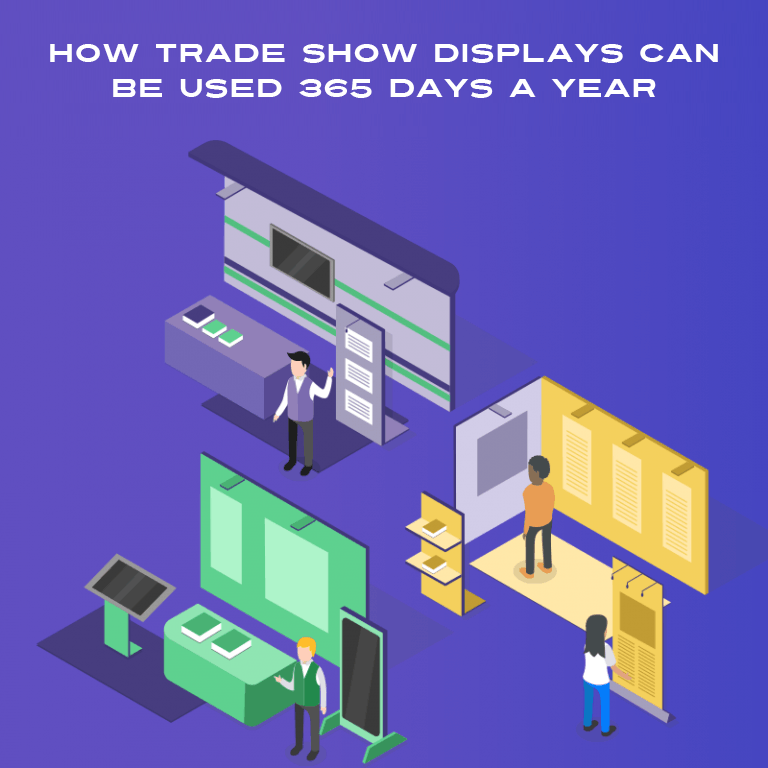 Most that go to trade shows are definitely familiar with many types of graphic displays. Many of these that have continued to work well throughout the years and still work today but only in some applications. When there is a large desire to become more lightweight (to save $ in drayage) so that your trade show schedule doesn’t cost you a fortune, fabric graphics make the most sense for bringing those results. In only makes sense to incorporate SEG fabric graphics in today’s exhibit. SEG is Silicone Edge Graphics. It is a new resource being used in fabric graphics, which are ideal for trade shows. This is comprised of a select few fabrics specially designed for backlit or non-backlit displays with a high resolution dye-sublimated print. The edge is finished with a strip that is comprised of silicone and gets sewn directly onto the edge of the graphic. A frame with a recessed groove is then used so this silicone edge can be neatly inserted into it. Proper fitting is really important as the graphic must be taunt in the framework. This is now the new modern replacement for those hard panel graphics that would show their wear and tear over time and could be difficult to work with. Not to mention how easy and cost effective it is to replace your graphics from show to show. Once the advantages of the Silicone Edge Graphics are discovered, businesses using them could not fathom having to go back to the standard hard panel graphics they have been relying on for years. The graphics themselves are clear and sharp making them stand out and easy to view. This is due to the dye sublimation. Traditional framed graphics tend to take up a lot of space both during display and storage. With the SEG they are comprised of fewer frameworks which in turn address these issues. These graphics are flexible in that they can be used on a variety of different types of SEG aluminum extrusion profiles. Every little detail about a graphic display counts and anything that can detract away from this should be avoided. With the traditional graphics the seam line is noticeable but this is not the case with SEG graphics as there are no seams. Transporting these fabrics is simple and hassle free because they are so lightweight and the fabric can be neatly folded. Trying to clean traditional graphics can be almost impossible but with the SEG these fabric graphics can be easily washed and steamed to restore them to their pristine condition. When the ease in which these fabric graphics can be stored and transported they have an indirect but important benefit to the environment. 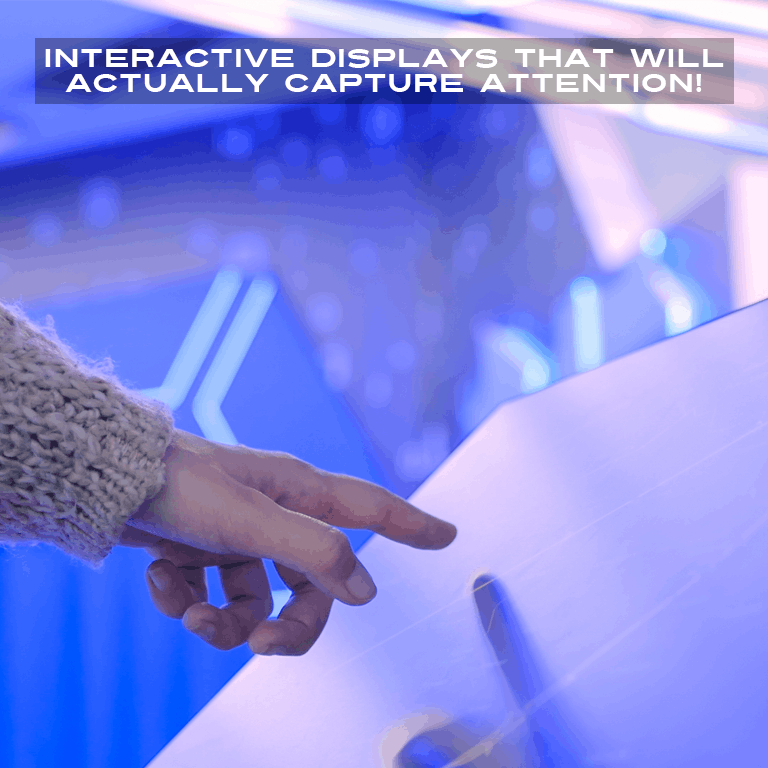 When all of the benefits of the SEG displays are compared to traditional graphic displays they far outweigh those that have been used in the past. They have that modern up to date look that is sure to enhance any display. 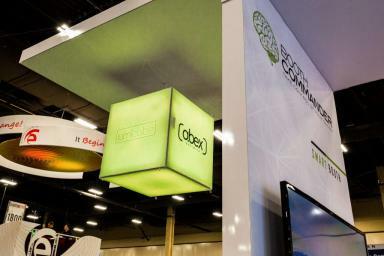 Backlit fabric displays are one of the hottest trends in trade shows today! First impression is the last impression. For businesses, first impressions become even more crucial in trade shows. 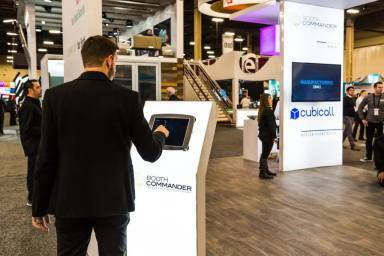 Exhibiting your products or services in a trade show is not just about meeting and greeting visitors, it is about presenting your brand in a compelling and memorable way. 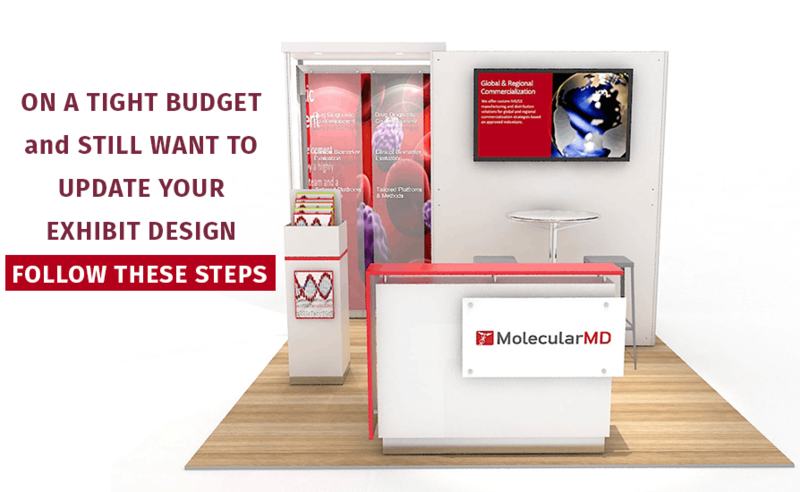 The appearance of your exhibit can drive interest and attract more visitors to your booth. Backlit fabric displays can help you do exactly that. 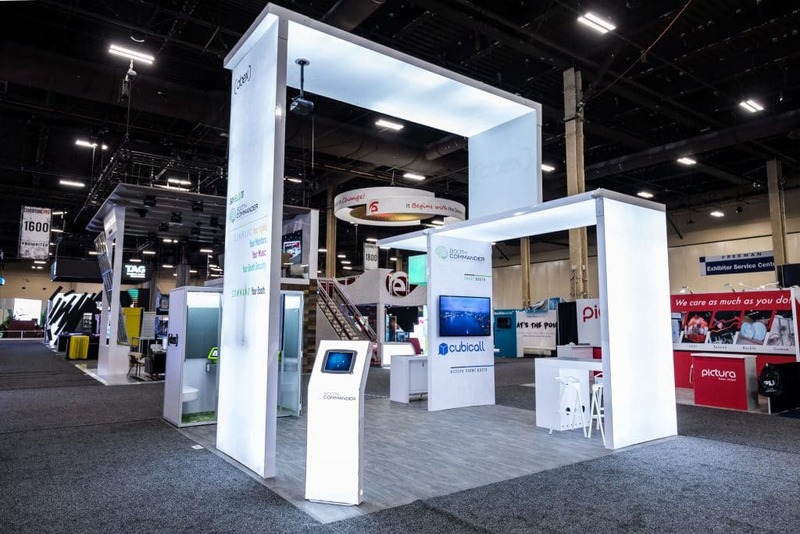 There are available a wide variety of sizes and styles in backlit displays, including tension fabric displays and hybrid modular displays, that will enable you to buy attendee time and stand out from the crowd. When back lighting is added to your trade show booth, you possibly gain the attention of the visitors with vibrant graphic colors. Such trade show displays not only show you work hard to promote your business but also create a professional look in big events. 1. They Attract More Visitors – In this highly competitive marketplace, it can be difficult to make an impact. That’s why it is important to place your best foot forward. Create buzz with a backlit display to outperform among competitors and compel visitors to know what your organization is all about. When you install standard lights in your booth, they can be irritating on the eyes and may also make the booth space appear darker. Inadequate lighting makes the booth space unattractive, and your services or products may go unnoticed. Backlit fabric displays consist of bright LED lights installed behind customized fabric displays and integrated with aluminum profiles. Lights in the corner of the display brightly illuminate the corner and edges of your booth. The down lights that are placed at the top of the frame skin highlight your logo and graphics. It is completely your choice to select from single or double-sided backlit displays. 2. They Create Brand Recognition – The backlit displays allow you to communicate your brand message to the prospective customers effectively. When designed and installed properly, they clearly highlight your products / services, thereby strengthening your presence and creating brand recognition among attendees. These stunning visual displays will let you deliver your marketing message to a maximum number of visitors. 3. 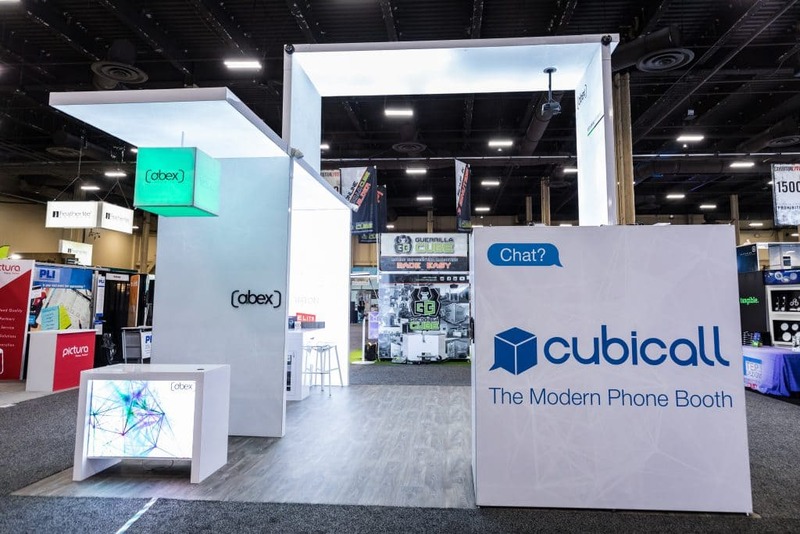 They Improve Attendees’ Experience – Brightly illuminated booth not only captures the attention of the attendees on a busy trade show floor but it also makes it easier for them to see and read about your company even from far off distance. Make the design simple and print the messages on the fabric display clearly so that attendees get exactly what you want to convey. Good lighting can easily help you accomplish that. 4. They are Lightweight & Versatile – These displays are made up of aluminum frames that have silicone edge graphics, thus making them lightweight and easy to transport. The functions of backlit displays are not only limited to trade shows and exhibitions, they can also be utilized at corporate lobbies, retail outlets, shopping malls and airports. 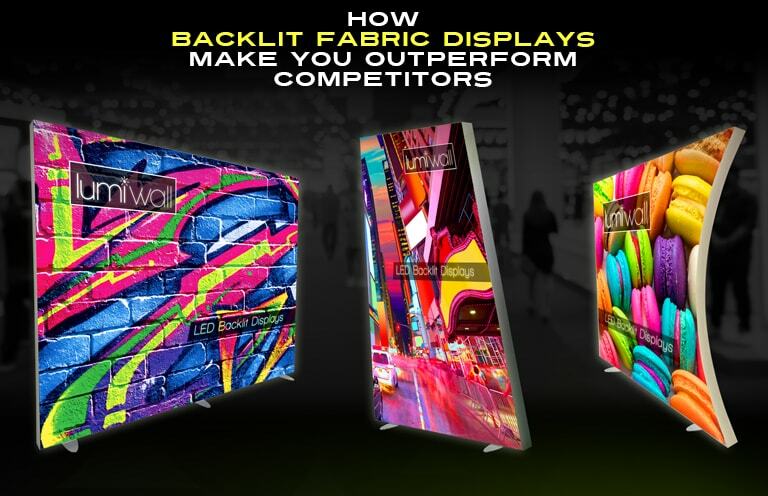 If you’re not sure which type of backlit fabric display will be best suitable for the next trade show, consult a trusted company that offers quality, flexibility, and durability with cutting-edge style in your exhibit. At Abex, you can count on us that you’ll surely get noticed.